Abu Dhabi Ports, the master developer, operator and manager of the Emirate’s commercial and community ports as well as Khalifa Industrial Zone, today said the opening of the new Mohammed bin Rashid Road yesterday marks a major milestone in enabling Khalifa Port’s expansion and growth plans. Captain Mohamed Juma Al Shamisi, CEO of Abu Dhabi Ports, said in a statement that the new motorway will serve as a strategic artery linking Abu Dhabi with the rest of UAE as well as the neighbouring countries, enhancing the emirate’s leading position in regional and international trade by improving the movement of merchandise and goods across the country as well as in and out of the UAE. 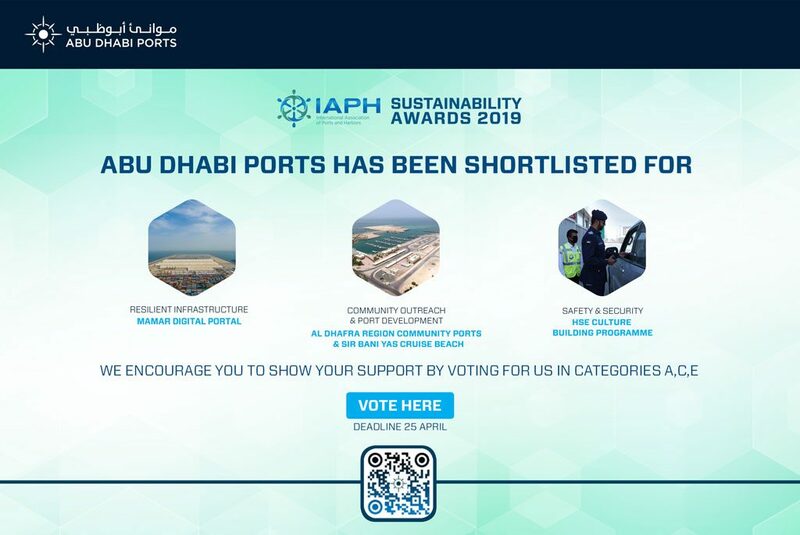 Al Shamisi also said that Abu Dhabi Ports highly welcomes the new road infrastructure for the benefits it brings for Khalifa Port and Khalifa Industrial Zone (KIZAD). He added that both manufacturers and exporters stand to gain from reduced operational costs, significantly easing container traffic and reducing travelling time between the port and the rest of the country. “The new highway will reduce traffic congestion and expedite the movement of goods to and from Khalifa Port. This will, in turn, save time for the companies and manufacturer operating from KIZAD and lead to improved production efficiency and reduced cost,” he noted. Al Shamisi also pointed out that Abu Dhabi Ports is pushing ahead with its efforts to improve Khalifa Port’s facilities to meet evolving customer needs, and that the opening of the new road would complement plans to upgrade infrastructure at the port to enable it to handle some of the world’s largest ships and accommodate anticipated short to medium term growth in the industry. Al Shamisi also expressed his pride in the UAE’s extensive and well developed roads network that continues to create new economic opportunities for the country and supports its GDP growth, in addition to providing the country with a competitive edge in regional and international trade. 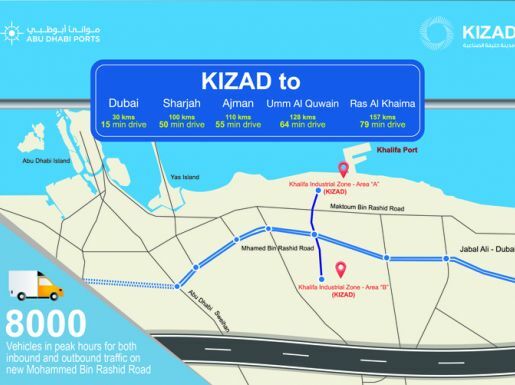 The 62 kilometre-long road begins at the Emirates Road junction at Seih Shuaib and stretches to the Sweihan Road in Abu Dhabi, passing Al Maha Forest, Khalifa Port and KIZAD. One of the major infrastructure projects carried out by Abu Dhabi in recent years, the highway was constructed to the latest international safety standards and technical specifications.